Photosynthesis is a metabolic process which makes stuff using light. How? How can you make anything from light? And why? Living things are made of complex organic molecules such as carbohydrates and proteins, as opposed to simple inorganic molecules such as carbon dioxide and water. …where water, carbon dioxide and energy are the starting materials, and glucose and oxygen the products. Here, glucose is the key product because it is the complex organic molecule made from simple inorganic reactants. The “energy”, as you may have noticed, is where the light comes in. The energy stored in big molecules (such as carbohydrates) created via photosynthesis is derived in part through the light energy in photons. In order to tap into this energy, light must be absorbed by plants and other photosynthetic organisms. Between 400-700 nm, light passes through several colours from violet to red. Pigments absorb some wavelengths more than others, just like anything else we see as coloured. For example, something appears yellow if it absorbs other colours like blue (500 nm) and red (700 nm) but reflects yellow (600 nm). The different pigments can be extracted from a plant by grinding its tissue in a solvent which will become green, having taken up the pigments. There are other, different coloured pigments included in the overall green appearance. Paper chromatography can be used to separate them and see what colour they are and how many pigments there are. 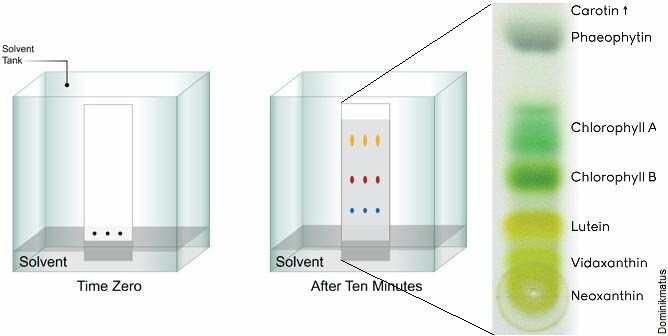 Paper chromatography involves using a defined piece of chromatography paper and placing a droplet of the mixture at the bottom, in the middle of the paper. This section is then immersed in a solvent which is drawn up the section of paper through capillary action. Depending on their chemical properties, some components of the mixture will be drawn up with the solvent, while others will lag behind or not move at all. This separation is enabled by their interaction with the stationary phase (the paper) and the mobile phase (the solvent). Photosynthesis is the process by which most plants as well as other organisms e.g. photosynthetic bacteria obtain their energy (glucose) ultimately in the form of ATP upon respiration. So photosynthesis produces the glucose, and the glucose is the substrate for respiration which produces ATP. 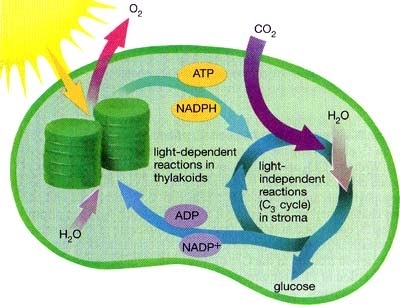 All living things undergo respiration to produce ATP from substrates including glucose, but only some (notably plants) undergo photosynthesis to produce the glucose themselves. So where do other organisms get their respiration substrates – “food” – from? Well, most do directly from the plants by eating them, indirectly from other organisms who ate the plants (herbivores) or even more indirectly from carnivores. Fungi, for example, do neither – they simply digest any organic compounds from their environment, the soil. That is why plants are considered autotrophs (they make their own “food” via photosynthesis), while humans amongst others are considered heterotrophs (they must obtain their “food” indirectly from other organisms which photosynthesise). Back to photosynthesis itself now! We know that photosynthesis requires light, however the twist is that the process is split into two: the light-independent and light-dependent reactions. So some parts of photosynthesis don’t actually require light. The very first stages of photosynthesis are the ones which require light, and once those have been accomplished, the subsequent reactions may proceed regardless. The LD reactions take place on the thylakoid membranes within chloroplasts, whereas the LI reactions take place in the surrounding space called the stroma. The LD reactions produce protons, electrons and oxygen, while the LI reactions produce triose phosphate which ultimately is converted to glucose and other organic molecules. So the overall purpose of the LD reactions is to convert light energy into chemical energy, while the overall purpose of the LI reactions is to convert the LD products into useful molecules like glucose. As in the overview of photosynthesis, the light-dependent reactions utilise light energy to convert it into more usable chemical energy. 1. The electrons present in the chlorophyll of the plant’s chloroplasts are brought to a higher energy level (they enjoy dancing more) by light energy. This takes place on the thylakoid membrane, and more specifically in a conglomerate of proteins/enzymes dedicated to this reaction, called photosystem II. It’s known as photoionisation. 2. To maintain a fresh supply of dancing electrons, light also splits (photolysis) the H2O into… electrons, protons and… wait for it. Wait for it. Wait… Oxygen! So that’s how the oxygen by-product is made. 3. What’s the deal with the dancing electrons? They’re picked up by electron carriers (nightclub bouncers) and thrown out, one by one. This releases energy every time a poor electron is pushed down another flight of stairs (thylakoids are multi-story clubs thank you very much) all the way to photosystem I. Ouch. I sure hope that energy is put to good use. 4. The sweat and blood and tears of electrons passing down the electron transport chain is used to pump the elite clientèle into the thylakoid. Who is this clientèle, I hear you ask. It is none other than the protons! You know, the ones snatched from the H2O. They rush inside all at once as soon as the electrons are suitably thrown out – just couldn’t stand all that… negativity. They are stuffed inside the thylakoids like sardines on a hot day, to the point where the nightclub is filled with positivity and the outside (the stroma) is totally missing out. 5. The proton gradient formed as a result (lots of protons inside the thylakoid, few outside) enables their movement subsequently in the opposite direction, down their concentration gradient. Unfortunately for them, there are only a few exits back outside. These are gates – enzymes – called ATP synthase. They have the absolute cheek to charge every proton to get out energy currency. This energy makes ATP from ADP + Pi. 6. Meanwhile, what are the electrons doing at photosystem I? They’re electrons, what else are they going to do if not get excited – again – and end up in trouble – again. Light strikes them at PSI, even harder this time, and they roll-rollety-roll along to electron carrier NADP (nicotinamide adenine dinucleotide phosphate, of course you were dying to know) where they are coerced into making friends (?!) with a proton from the stroma and sticking together to form reduced NADP. Phew. Did I call that a BRIEF sequence of events? Hahahaha sorry, my bad. On the upside, you now get to see the gorgeous summary diagram of it all happening at once. You wouldn’t have wanted to see that first. Understanding that the light-dependent reaction of photosynthesis takes place separately from the light-independent reaction was a stepping stone in laying out the framework for how photosynthesis occurs. Hence, it was shown that the use of water and light without carbon dioxide could produce oxygen. Carbon dioxide would only be required later on for the actual synthesis of glucose, in a separate process. Robin Hill, after whom the Hill reaction and Hill reagent (DCPIP) were named, discovered this through isolating chloroplasts from plants and adding a chemical that would accept electrons like NADP (i.e. become reduced), but was in large supply for the reaction to take place. 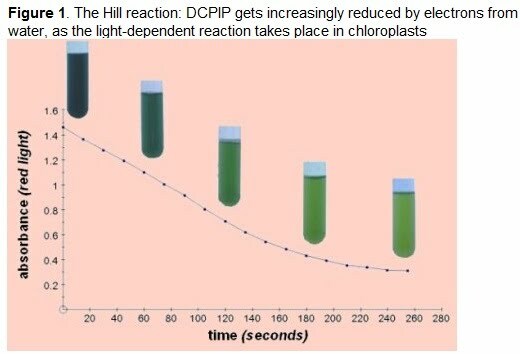 By decoupling the light-dependent and light-independent reactions, the activity of the light-dependent reaction only, in the chloroplasts, could be investigated. The reduced chemical is a dye called DCPIP (dichlorophenolindophenol) which is dark blue in colour. As it becomes reduced in the solution with reacting chloroplasts, it turns clear, revealing the background green colour of the chloroplasts. This is observed by eye, and can be quantified using a colorimeter (by measuring the absorbance of red light, the intensity of green light is measured). Different light intensities can be investigated during this experiment. Prior to measuring the colour change, the reagent mixture must be kept in the dark to prevent the reaction starting prematurely. A control reaction can also be kept in the dark. This should stay dark blue, proving that it is light that causes the reduction of DCPIP. The reaction should progress at different speeds depending on light intensity, light duration, temperature and other factors. DCPIP gets reduced in the same manner as NADP does in the living plant. In the presence of light, water gets split into its components, providing the electrons used in the reduction reaction of NADP (or DCPIP). The light-independent reaction of photosynthesis is where the ultimate product, glucose, is made. Given its name, the reactions involved in this step do not require light, since the reactants used are taken from the products of the light-dependent reaction. The LIR occurs in the stroma of chloroplasts (the space around thylakoid stacks which contains lots of enzymes involved in photosynthesis). All LIR events can be viewed as a cycle termed the Calvin cycle. The starting point is carbon dioxide, CO2, and the ending point is glucose (C6H12O6). 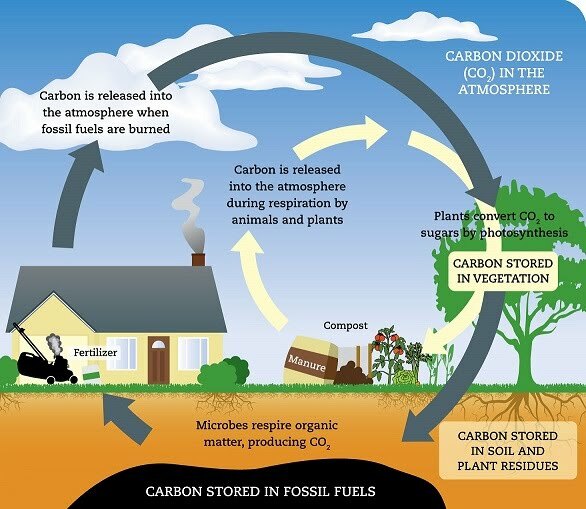 Before the carbon atoms in CO2 can be incorporated into glucose, a series of events must take place. As you can appreciate, turning a simple inorganic gas into a complex organic molecule which is at the heart of life today as we know it takes just a little bit of magic. Next: The 2 GP molecules react further to produce triose phosphate/TP (3-carbon molecule also known as glyceraldehyde phosphate, GALP). This forms the building block for glucose (and other carbohydrates) and other organic compounds like amino acids and lipids. To add up the carbon atoms, 2 TP are needed for 1 glucose. Expenditure: 2 ATP molecules and 2 NADPH molecules from the LDR. Once NADPH is oxidised back to NADP, it can return to the LDR in the thylakoids. NADP is therefore recycled. For the production lipids, TP turned into carbohydrates is further processed into lipids. Amino acids are processed from an additional reaction of GP to phosphoglyceric acid (PGA), and require mineral ions such as nitrates and sulphates. 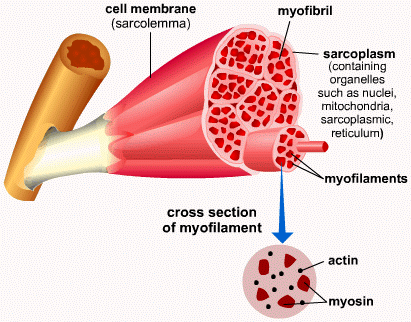 These provide key elements required by amino acids, such as nitrogen and sulfur. 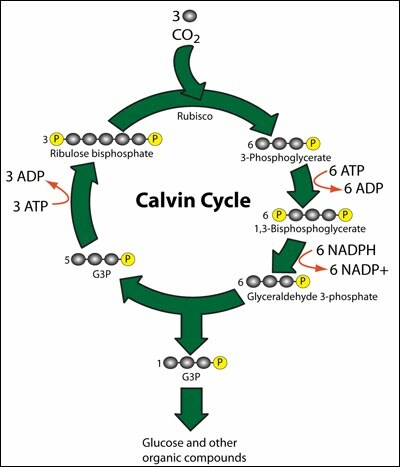 Finally: For the cycle to continue, a supply of RuBP must be kept constant to meet the incoming carbon dioxide back at the beginning of the Calvin cycle. This is actually achieved by most TP molecules produced in the previous step. A phosphate group from ATP is used to convert ribulose monophosphate into ribulose bisphosphate, RuBP. If photosynthesis had no limiting factors, what would glasshouse growers have to exploit? 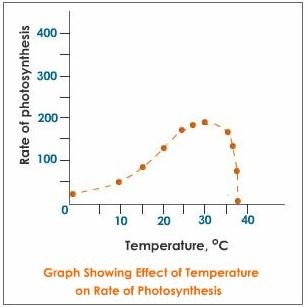 The rate of photosynthesis is sluggish at lower temperatures, while at higher temperatures it drops sharply. What’s happening? It’s all in the enzymes. Enzymes are subject to the same laws of thermodynamics as everything else. 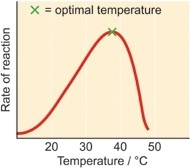 Put simply, temperature influences the random movement and collisions between molecules; at low temperatures the movement decreases, so the activity of enzymes involved in photosynthesis, among others, also decreases. Turn up the heat a few notches, and hey presto, photosynthesis speeds up! Turn it up beyond 30 degrees or so, and you kill the party. Just what’s happened now? It’s a very general property of most enzymes that at high temperatures they denature. Photosynthesis enzymes, such as RuBP, are no exception. Denatured enzymes have a misfolded 3D structure. In this state they cannot bind their substrates and carry out their catalytic activity. Hence, no photosynthesis! As the CO2 concentration increases, so does the rate of photosynthesis, as the much-loved carbon dioxide is becoming more and more plentiful! So why does it have to end so tragically and abruptly? It seems as if the plant has enough CO2 but it’s just not good enough. Why? Temperature has degrees, CO2 concentration has pressure/volume, so what does light intensity have? Would you believe it, there’s a special unit of measurement for light called the lux. Pretty awesome. Around 100,000 lux are available in an average day to a photosynthesising plant. Unsurprisingly, light is very much welcomed. 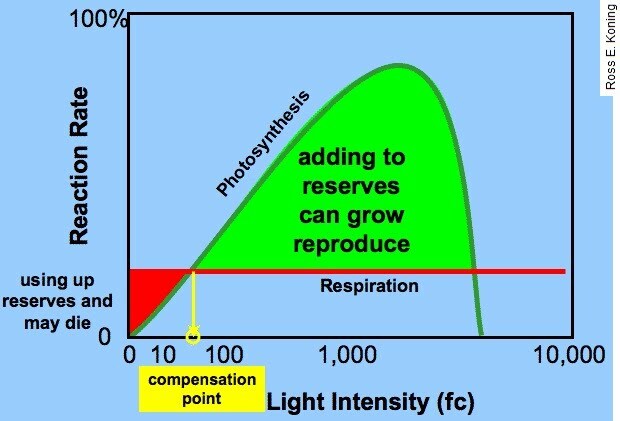 Just like CO2 concentration, increasing light intensity will only result in so much increased photosynthesis rate before another limiting factor comes in. Plant growers must take into account all these different factors affecting photosynthesis and know which one becomes limiting when. The environment within a glasshouse, for example, must be optimised by adding extra CO2, increasing the temperature especially during winter, and maximising light exposure including adding artificial light. Naturally, light duration a.k.a. photoperiod contributes to the increase of photosynthesis over what would be equivalent to daytime. Further lengthening of this period does not cause additional increase in the rate of photosynthesis, as similarly to the other factors, a different factor becomes limiting. 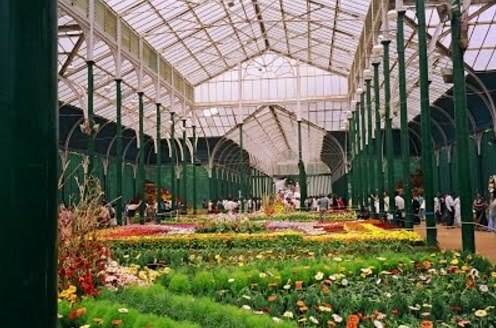 Since light intensity and duration increase and decrease together from sunlight, investigating light duration alone, at constant intensity, is relevant in artificial lighting scenarios such as greenhouses. Finally, light wavelength affects photosynthesis because different pigments have different, sometimes narrow, active wavelength ranges. The two main classes of pigments in photosynthesis are chlorophyll of which there are multiple types (a, b, c, etc.) and carotenoids of which there are also multiple. The former are, surprise! green, while the latter are yellow, orange or red. Their absorption spectra are different. Chlorophyll b for example, absorbs blue light excellently, as well as some orange light. Carotenoids only absorb blue light, with some towards the violet end of the spectrum as well as towards the green wavelengths. Plants can make use of these multiple pigments to maximise their light absorption potential. Together, these pigments offer a range of 400-530 nm and 650-700 nm which is a total of 180 nm accessible wavelength values, out of 300 nm of visible light. That’s 60% of wavelengths. These are available as light for photosynthesis. 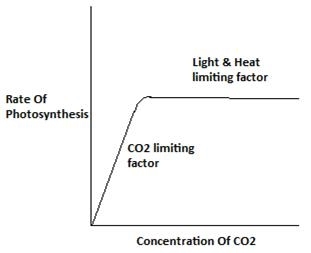 The rate of photosynthesis can be monitored as a function of either CO2 uptake or O2 production. Since organisms that photosynthesise (such as plants) also undergo respiration (to have usable energy from the food they just made through photosynthesis), the relationship between the amount of photosynthesis and the amount of respiration that takes place at any time can be analysed. Photosynthesis taken alone is the gross photosynthesis taking place. After accounting for any respiration that is using up the products of photosynthesis, extra products of photosynthesis amount to the net photosynthesis. 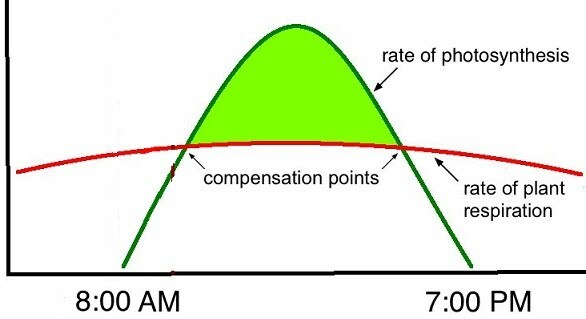 The point at which photosynthesis and respiration are taking place at the same rate is called the compensation point. The compensation point is significant in crop production. In order to grow, thrive and produce the parts for which crop plants are cultivated, they must have enough extra energy from photosynthesis carried out in light hours to support basic respiration needed for survival, as well as these additional activities. For a single plant such as a house plant, daylight is sufficient to allow it to grow (light intensity of 50 fc; fc stands for foot-candle, believe it or not! It is a non-SI unit). Crops require a full exposure to sunlight (over 1,000 fc) to grow sufficiently. If crops fall below their compensation point, the lower availability of carbohydrates for the activities of growth and development will result in stunted growth, decreased functions and even death. Investigating different leaf compensation points can done in a practical using hydrogencarbonate indicator solution. Hydrogencarbonate indicator changes colour with pH. Very acidic pH shifts it to yellow, while very basic pH shifts it to purple (via orange and red). The indicator solution monitors leaf respiration as a function of carbon dioxide release. Carbon dioxide turns the solution acidic, so increasing CO2 will make the solution yellow. It also measures photosynthesis as a function of carbon dioxide take-up. High levels of photosynthesis relative to respiration will make the solution purple. Therefore, the experiment monitors the net carbon dioxide present in solution as the leaves respire and photosynthesise. 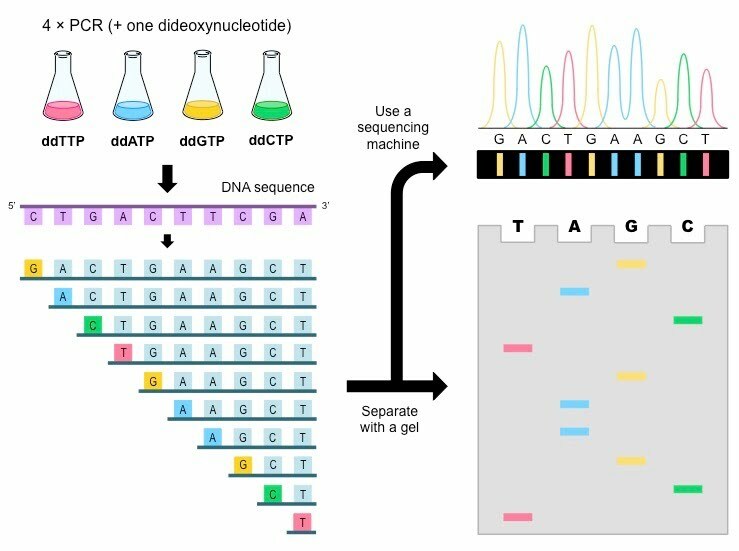 Experiments can be carried out with multiple samples. Leaf sample can be trapped in small alginate (jelly) balls, and immersed in the solution. 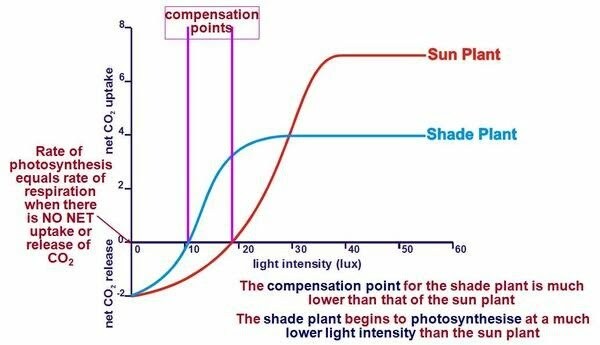 Those exposed to light can be expected to carry out more photosynthesis than respiration, and be above their compensation point. These will turn purple. Those kept in the dark are expected to respire more than photosynthesise (if at all), and be below their compensation point. These samples will turn yellow. After exposing multiple samples to different light intensities, the samples that maintain a red colour and haven’t turned yellow or purple exhibit a balanced level of respiration and photosynthesis. This is the compensation point. For example, this might be an arbitrary level of light intensity e.g. 36% of a 50 W light bulb at a certain distance from the sample. Nitrogen is a key element that makes up DNA and proteins. It is present in its cycle in various forms including nitrogen gas which makes up the biggest part of the air in the Earth’s atmosphere, ammonia, nitrites and nitrates in the soil, and of course in all the waste products of living things. Microorganisms also play a key role here in decomposing these materials and producing the intermediary nitrates. Following a series of reactions, nitrogen from these sources ends up back into the atmosphere. In the nitrogen cycle there are two stages of N presence: the atmosphere and the ground. Whenever N is in the atmosphere it’s in the form of nitrogen gas, N2 which of course is what most of the air is made of. In the ground, N is found in ammonia (NH3), nitrite (NO2-) and nitrate (NO3-). Find it hard to distinguish the formulae for nitrite and nitrate? Needn’t be! A is large (3-) and i is little (2-), former’s nitrate, latter nitrite. Both nitrogen-fixing bacteria and lightning can take the nitrogen gas in the air and fix it into the soil, where plants take it up (nitrate assimilation) and pass it on through the trophic levels to other organisms. Azotobacter is an example of bacteria that are able to fix nitrogen from the atmosphere and release it as nitrogen ions for plants to take up. Associations with nitrogen-fixing bacteria exist, where bacteria live in symbiosis with plants in their root nodules. An example of this are Rhizobium bacteria. They fix atmospheric nitrogen and produce ammonia, while contributing to the plant’s nutrient needs; the plant in return provides some other nutrients that are products of photosynthesis. 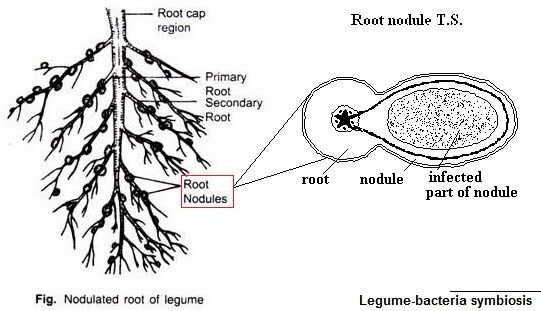 Since nitrogen is one of the most limiting factors of plant growth, the use of bacteria in legume root nodules has been sought to reduce reliance on fertilisers. Isolating Rhizobium from legumes, culturing them and then returning them to cultivated legumes is one approach. In order to culture Rhizobium in the lab (in vitro), a specific nutrient medium is required for growth, called Yeast Mannitol Agar (YMA). Back to the nitrogen cycle! Upon their death, saprobiotic bacteria decompose the remains and produce ammonia which then undergoes nitrification to NO2- and NO3- by nitrifying bacteria. An example of this is Nitrosomonas which convert ammonia into nitrites by oxidation as part of their metabolism. Nitrites are oxidised into nitrates by Nitrobacter species of bacteria. This, too, contributes to the nutrients available to plants in the soil. Denitrifying bacteria turn the N in nitrates into nitrogen gas again, so the cycle may begin once more! The quality of soil and water is essential to plant growth and human health, so environmental monitoring is carried out in certain areas in order to check for, and control, the amount of toxic chemicals such as heavy metals and pesticides present. 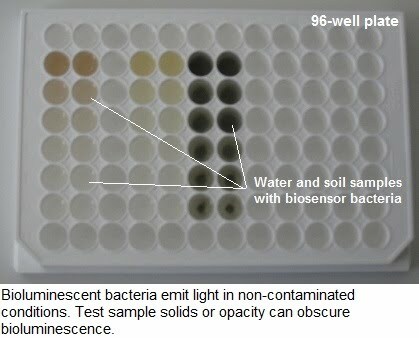 A quicker and cheaper approach to monitoring, compared to chemically analysing the samples, is the use of bioluminescent bacteria. Bioluminescence is the process by which certain organisms emit light through their metabolism. 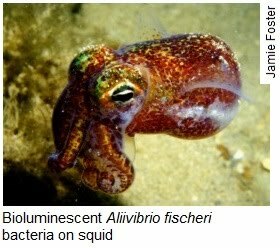 Bacterial species such as Aliivibrio fischeri are capable of bioluminescence and reside in marine environments. Under good conditions they bioluminesce, however this is impeded if their environment is poor. As such, kits have been developed to allow researchers to quickly tests water and effluent samples for toxic chemicals using bacteria as biosensors. Upon presenting the sample to the bacteria, over the course of 30 minutes they will emit light if the sample is safe, or stay dull if it is contaminated. 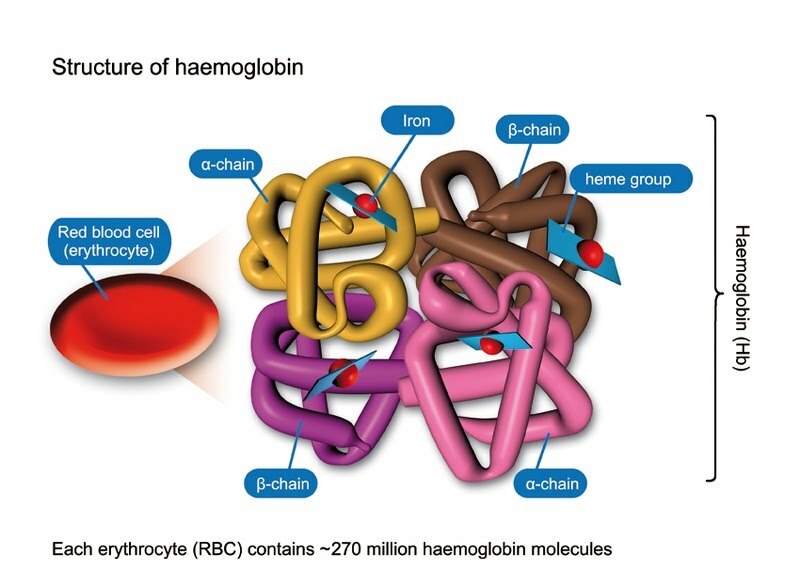 One limitations of this assay is the type of sample suitable for testing e.g. solid particles or opaque samples may interfere with the bioluminescence. Don’t plants also use their own photosynthesised goodies (glucose) to provide energy for their own business (growth, reproduction, etc.) 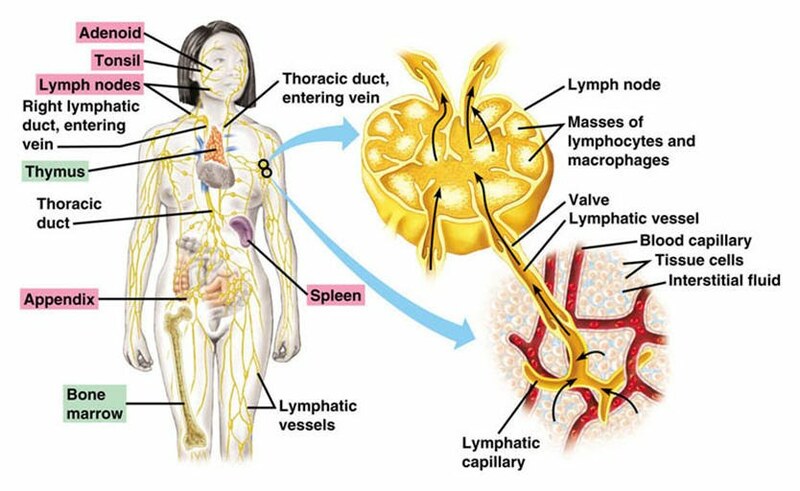 via respiration, and waste stored energy in their tissues upon their death? Of course they do. So less must be available for whatever eats the plant. And whatever eats the plant will also lose energy through excretion for example, so whatever eats this herbivore will have even less energy available to themselves. The plants at the bottom are the photosynthesising primary producers. They hold the most energy (Joules) and are fed on by herbivores – primary consumers. 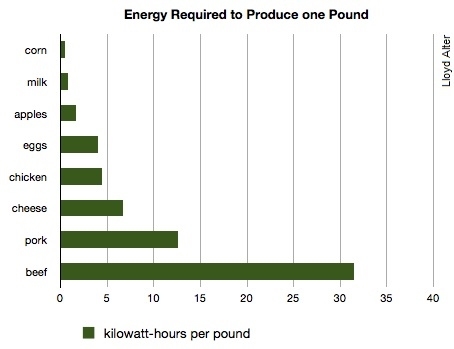 Notice only about 10% of that energy is available one trophic level higher. 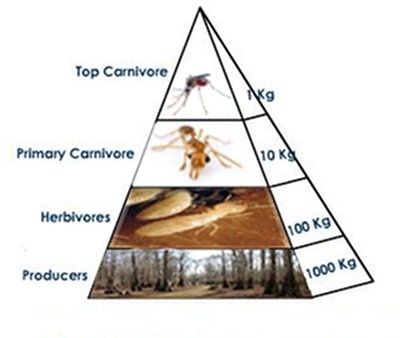 This is taken by carnivores feeding on herbivores – secondary consumers. At the very top of the pyramid a mere 0.001% of the original 10,000 J remains (10 J). This is taken by tertiary consumers feeding on carnivores. Because such tiny amounts of energy are left at the highest level, it’s rare to find quaternary consumers or above. Notice how the above pyramid is based on energy alone. 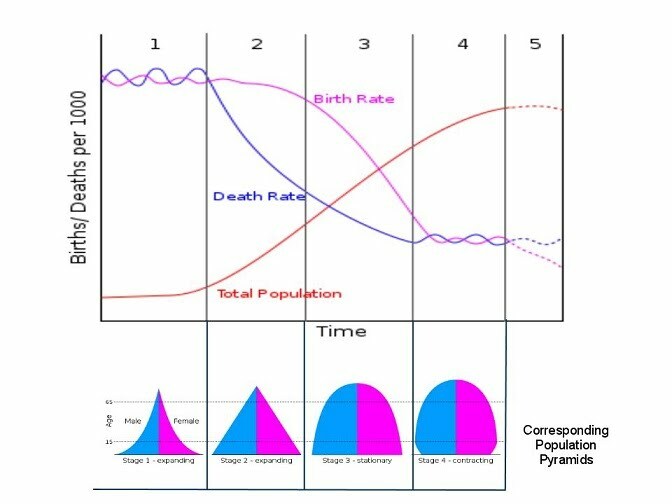 There are 2 other types of pyramid: biomass and numbers. A numbers pyramid is based on simple numbers e.g. 1,000 plants at the bottom eaten by 100 herbivores eaten by 10 carnivores eaten by 1 omnivore. As you can see, there is a clear correlation between these types of pyramid. However, you can get irregular “pyramids”. For example, a single tree can feed several hundred insects, etc. Since humans are not primary producers, they can consume primary producers either as primary consumers or as secondary consumers. The amount of energy from food that is available one way or another is therefore significantly affected by these eating choices. Since food chains are so sensitive to the presence of different species at each level, the amount of sustainable food for humans is also very sensitive to farming practices. This is evident in fish farming, and cultivating crops such as maize for beef cattle consumption (for later human consumption) at a hugely undercut energy level, as opposed to direct human consumption. The carry-over energy expenditure of raising cattle for beef is over 30 times greater compared to growing maize (corn) itself. Even as other food sources expend more energy than maize, beef is still more than twice as energetically inefficient as the runner-up, pork. 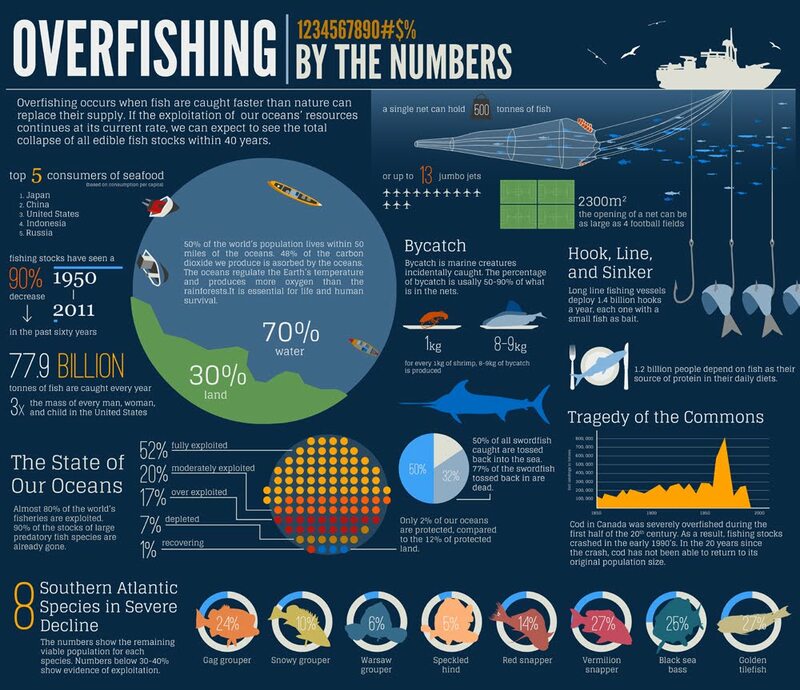 This killer infographic brings home the point about how much fish stocks have plummeted more than any description could. Maintaining viable fish stocks is essential to being able to sustain our reliance on fish, especially in parts of the world where it is one of the main sources of food. Fish are also a major part of the aquatic ecosystem on Earth, and are hence part of complex food webs. Depleted fish stocks in an ecosystem can throw off other species, and even be the end of a specific ecosystem itself. Several actions have been implemented in fisheries to address these pressing issues. Safe catch limits can be determined scientifically, and ensure that there is a minimum number of fish left in the ecosystem to maintain a long-term balance. Controls on bycatch involve using catching methods that minimise the targeting and death of other species alongside the target fish. Protection of pristine habitats ensures that the spawning grounds of fish aren’t disturbed, as well as unexplored areas (much of the oceans remains unexplored) and corals, which have already been impacted by climate change. Finally, for any of these measures to be effective, monitoring and enforcement are critical to their long term success. People involved in the fishing industries must be monitored to ensure they are following these guidelines, and a monetary incentive is required to make it uneconomical to cheat. In the context of human food, the extraction of maximum energy from plants is key in being able to feed an increasing population. There is a lot of energy trapped in parts of crops that humans cannot digest. This energy can be preserved by feeding plant leftovers rich in cellulose (indigestible to humans) to ruminants. Ruminants are animals with specialised guts, capable of digesting plant matter effectively through the action of their gut bacteria. These ferment the food and make the nutrients available to the ruminant animal. Gut-wise, they have four compartments: the rumen, reticulum, omasum and abomasum. In the first two sections, the rumen and the reticulum, food is digested with saliva and a process of separation of liquids from solids takes place. The solids become the bolus. OK, put your drink down for this bit: the food is then regurgitated to mix it with more saliva and break it into smaller pieces again. Food gets fermented by microorganisms in these two compartments. 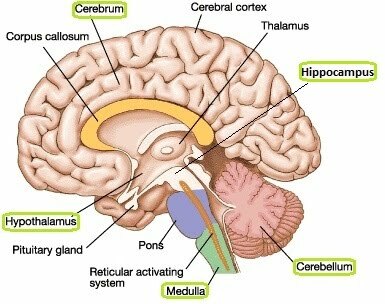 Upon passing into the omasum, the first absorption take place in the form of water and inorganic ions being taken up into the bloodstream. Then the food arrives in the equivalent of the “stomach”, the abomasum which operates in familiar ways: enzymes, rumbling and low pH break down food. 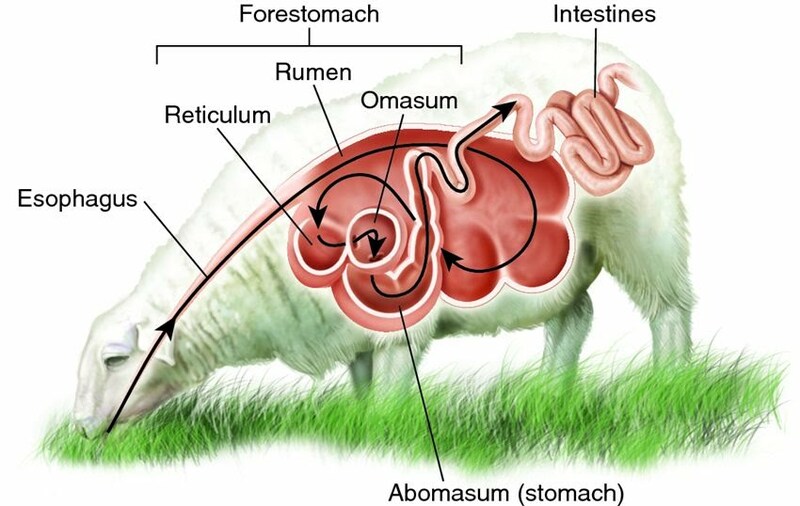 Absorption of nutrients takes place in the small intestine, while the final stage of digestion in the large intestine involves further fermentation, the same way as in the reticulorumen (rumen+reticulum). As such, the ruminant gut is an ecosystem where microorganisms digest cellulose. Cellulose is a carbohydrate based on the glucose monomer. Through the ruminant metabolism, this monomer can be further used and contribute to the formation of other useful organic compounds including fatty acids and protein. So rather than waste indigestible cellulose in the human food chain, it is used indirectly via ruminants by consuming their products e.g. milk, as well as their meat, if applicable. Farms can be regarded as ecosystems in their own right, where different species interact with each other and with the non-living factors present. Both the living and non-living factors are subject to the influence of humans who carry out farming. What is a population? A population is all the individual organisms found in a given habitat, of one species. So you could talk about a population of wolves in the woods. If you want to talk about the wolves and rabbits in the woods, then you’d be referring to a community. A community is made up of the various populations in a habitat. So the summation of all the living things in a given area is called a community. What then is an ecosystem? An ecosystem comprises the community of living organisms in a habitat, together with all the non-living components such as water, soil, temperature, etc. called abiotic factors. So that’s the last and loveliest new term: niche. It rhymes with quiche. A niche is the interaction, or way of life, of a species, population or individual in relation to all others within an ecosystem. It’s how it behaves, what it eats, how it reproduces, where it sleeps, etc. ; a species’ niche is determined by both biotic factors (such as competition and predation) and abiotic factors. Different things may determine the population sizes within an ecosystem. Non-living factors such as light intensity, temperature and humidity determine the number of organisms that a habitat can sustain. All species have a varying degree of ability to withstand harsh or fluctuating conditions, called resilience. If an abiotic factor changes dramatically in favour of a population – for example, plenty more light in a field – then the population will increase provided no other factors are limiting. The opposite is true if an abiotic factor changes against the resilience limit of a population – it will decrease. “Living factors” refer to all interactions between organisms, be it a bunny rabbit being predated, or two shrubs competing for sunlight. All individual actions between organisms form a web which impacts on all populations in an ecosystem, therefore determining their sizes. Interspecific competition refers to competition between members of different species for the same resources (food, light, water. etc.). Often when a new species is introduced in a habitat, say the American ladybird to the UK, if the invader species is better adapted, then the host population decreases in size. This may lead to extinction in some cases of the host species. Intraspecific competition refers to competition between members of the same species. If a population of apple trees all compete for a source of light, then each apple tree is taking up some light that has now become unavailable to a different apple tree. There are only so many apple trees which that habitat can sustain. The maximum population size sustainable indefinitely in a habitat is called the carrying capacity. Suppose you start off with equal populations of wolves and rabbits, and all the wolves rely on the rabbits for food. As the wolves start predating the rabbits, the rabbit population will decrease, while the wolf population will be sustained. Now there are fewer rabbits, so some wolves won’t have any food left. These wolves will die, so the wolf population will decrease. What will happen to the rabbit population now? Well, there are fewer wolves so they are predated less. The rabbit population will increase, followed by an increase in the wolf population, and so on. The predator-prey relationship is very intricate, so the two affect each other and hence their population sizes rise and fall accordingly. With the pressure to produce more food, as well as following the economic incentives to do so, various practices are carried out that are unfortunately detrimental to biodiversity. Clearing land for farming in itself destroys large areas of plant biodiversity, and with it, all the animal biodiversity that relies upon it. Side effects of farming such as leaching of fertilisers into the environment negatively impacts local, or even more distant, biodiversity. 1. Prioritising land – since so much energy is inherently wasted every time plants are used for anything else apart from direct eating by us, it is both an economical and social issue to decide whether so much land should be used for plants grown simply to feed animals which then pass on a tiny fraction of energy onto us; for plants grown to produce biofuel rather than food for us; or for plants grown to end up straight onto our plates so that the energy they pass on is maximised. 2. Controlling the effects of chemicals – artificial compounds used en masse such as antibiotics and pesticides can have far-reaching impacts. For example, if fertilisers leak underground and are transported to a distant lake, they will result in an algal bloom which will cover the entire surface of the lake. All organisms living below will eventually be starved of oxygen and nutrients and die, while other species may colonise the lake and shift the flora and fauna of the area, causing a cascade of events that will radiate outwards. 3. Drawing ethical boundaries – intensive rearing of livestock comes with an array of ethical issues. 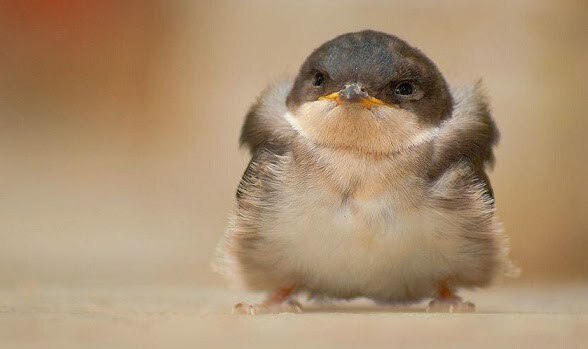 The range includes forced growth using hormones, captivity in crowded conditions, mass murder for meat, mass torture for cutting off the beads of chicks, and enhancing bacterial resistance by the mass use of antibiotics preventively. 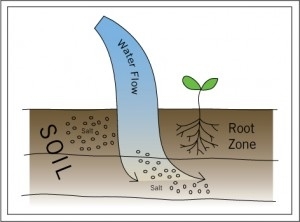 This is how fertilisers can reach further areas than planned, by the action of rain and irrigation. The fertiliser is therefore washed away, out of the control of the plant grower. Eutrophication is the process of artificial or natural chemicals reaching bodies of water and changing their ecosystem. Fertilisers will cause the aquatic organism phytoplankton to grow aggressively and cover the surface of the water. It’s super beautiful, but all the organisms within the body of water are being deprived of oxygen, causing hypoxia. 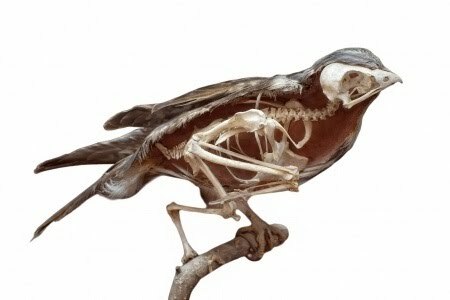 While certain species die and others thrive, the balance of the ecosystem is shifted dramatically. This can have unprecedented and unpredictable effects on the wider community. Slurry in farming consists of a mixture of organic debris from livestock and other sources, while the silage is the plant feed stored away for winter to feed animals. These are materials highly concentrated in various organic chemicals that are not normally found in the environment, so it is essential that they are stored securely and do not run off into neighbouring land. In the UK the government has guidelines for managing and storing slurry and silage, such as secure silos (large tanks that may be above ground or underground) and prohibition of storing within 10 m of any inland or coastal waters. Human activities such as intensive farming can negatively impact biodiversity. Various practices limit this impact, and can even improve biodiversity. These practices include polyculture rather than monoculture, crop rotation, hedgerow conservation and maintenance, predator strips at field margins, and integrated pest management and biological control. Polyculture refers to cultivating multiple species of plant in the same area, rather than just one (monoculture). This improves biodiversity and attempts to reproduce the existing biodiversity in the environment. Cultivating different plants together can also improve their resistance to disease, as shown by growing different rice varieties in China, decreasing disease incidence by 94%. This rendered pesticides unnecessary. A disadvantage of polyculture versus monoculture is the increased labour needed to carry it out. 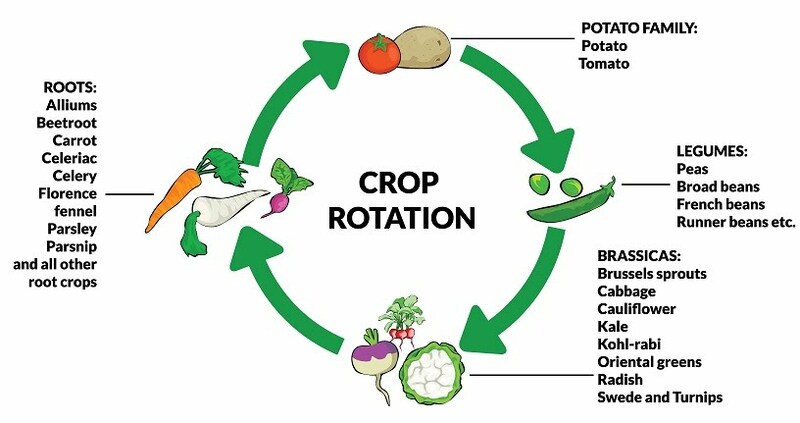 Crop rotation refers to cycling the type of plant grown in an area with every season. It prevents the depletion of specific nutrients from the soil. Additionally, the soil is better structured after growing different crops in it. Pathogens and pests are also disrupted and prevented from building up as a result of prolonged culture of just one species. A disadvantage of crop rotation is that it is very sensitive to multiple environmental factors such as the weather, and therefore cannot be planned too long in advance. If the rotation isn’t right, rectifying it can take a long time. 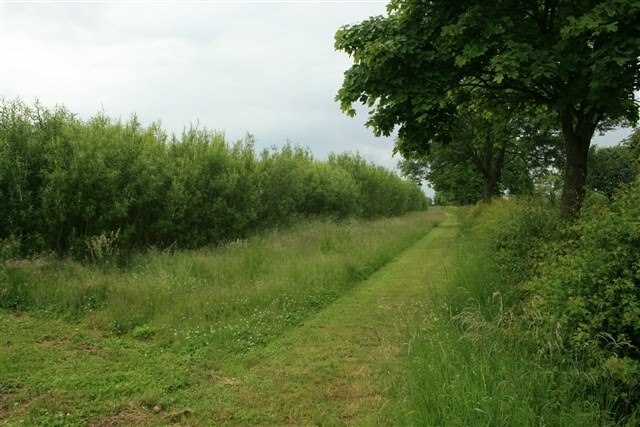 Hedgerows are critical habitats and corridors between isolated areas used for farming. They host moths, fungi and insects, and provide key resources for many mammals, birds and insects. Since hedges would be displaced by trees over time, it is important to maintain them, too. Implementing field margins where natural prey-predator relationships can continue is a way to maintain biodiversity. A downside to this is the growth of weeds in these spaces, producing many weed seeds in the habitat that would disperse to the nearby field. Pesticides such as weedkillers (herbicides) and insecticides can be selective (or non-selective) and systemic (or contact). Selective plant protection chemicals only affect certain species, commonly certain weeds. Non-selective chemicals are useful in a large breakout, but risk contaminating wider areas, and weeds as well as other plants. Systemic chemicals spread through the whole system of an organism, so if the leaves are sprayed, the chemical will reach the roots and other parts. Contact chemicals require application directly onto the target area in order to be effective. Resulting issues with the use of these protective plant chemicals include leaching into the wider environment and potentially spreading through food chains, toxicity to certain animal species, and providing a strong selection force that results in resistance against the further use of pesticides, similar to the development of antibiotic resistance in pathogenic bacteria. In order to mitigate these issues and provide the most efficient protection to crops, biological control strategies as well as integrated pest management strategies are employed. Biological control involves the use of a natural predator of the pest being used to keep its spread in check, while the integrated management (IPM) involves the combination of both chemical control and biological control. Introducing often exotic species to a new area can successfully result in a drop in the number of their prey. However, it is not a predictable setup, and it can cause unforeseen ecological problems as well as fail to accomplish its goal. By placing a new predator species into a new environment it may target the intended species, but also feed on non-intended species. This can cause an imbalance in the preexisting food chains, and disrupt the ecology of the area. IPM aims to combine a number of principles and strategies in order to achieve crop protection. It includes responsible pesticide use, biological control methods, preventative measures, monitoring and maintaining a threshold of acceptable levels of pests as opposed to their complete annihilation. Additionally, in the event of a breakout, mechanical methods of removal such as hand-picking and traps are prioritised over the use of chemicals. 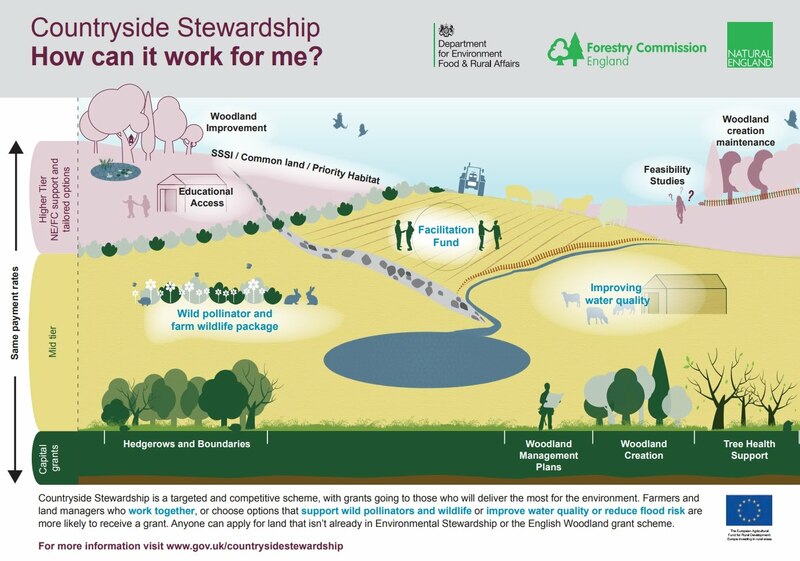 The Countryside Stewardship is a UK government scheme that aims to motivate farmers and land managers to improve and maintain the environment they are responsible for. This covers a wide range of activities, and extends to wildlife, controlling flood risk, maintaining the natural state of the countryside, and creating and managing woodland. 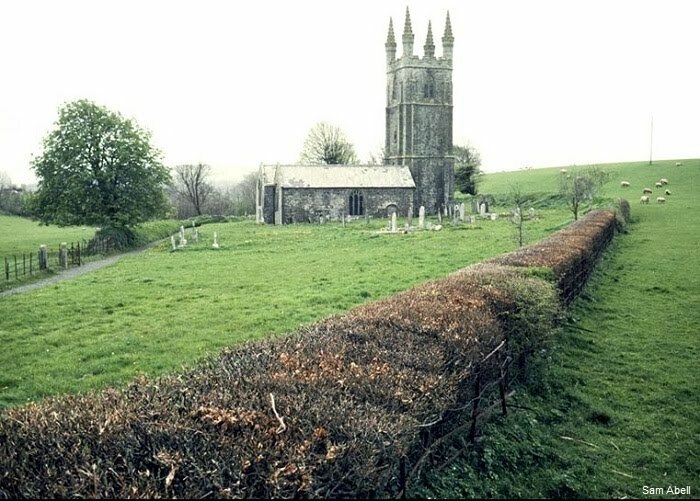 The government puts forward multiple different funds, such as one for hedgerows, that farmers can apply to. Depending on the extent and type of work carried out, grants are awarded competitively in three tiers: capital grants, mid tier and higher tier. It may be classified as primary succession or secondary succession. The difference is that the above is primary i.e. it begins with totally barren land devoid of any nutrients or other abiotic factors (water, wind, temperature) conductive to life thriving, while secondary succession occurs after an already-thriving community has been wiped out by natural disasters such as a wild fire. Why make the distinction? In secondary succession, although it may look like all life is gone, the conditions needed for it to begin again more readily than in primary succession are there: plant seeds, plenty of nutrients in the soil and plant waste all contribute. Let’s look at succession in more detail. 1. Pioneer species colonise the harsh land – since the conditions are extremely unfavourable for most larger organisms to develop and thrive here, only the most resistant species will grow after their seeds have been dispersed to reach this place. 2. Tolerant species take over once the pioneers have died and enriched the soil with more nutrients than previously. This progresses from small plants to shrubs and bushes, and eventually trees. Throughout the succession new opportunities for food and shelter attract diverse animals to the community. 3. Climax community – this is the “steady-state” final community which is characterised by a diverse range of interdependent biotic and abiotic factors. No new species overtake the established ones, and any new plants and animals are descendants of the same species present beforehand. It is the climax community that, if destroyed, presents an opportunity for secondary succession. There are various types of climax community based on how stable they are, and which factors are contributing to any instabilities. The theoretical climatic climax is a single community solely maintained in its climax state by the climate. 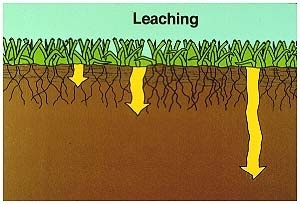 The soil is presumed to be stable enough not to affect the species beyond the climate. The long period in succession leading up to a climax community is called subclimax. Disclimax (disturbance climax) occurs when the natural climax is prevented by the activity of humans or domesticated animals. Animal grazing can, in excess, encourage a more desert-like community as opposed to the grassland that would otherwise thrive in the absence of the excessive grazing. Therefore, land management practices such as forestry and agriculture can prevent, delay or change the course of succession. The knowledge we can derive from succession enables the conservation and maintenance of different habitats. Sampling of organisms must be like those annoying, attention-seeking Snapchat friends. It must be random. Random sampling can be carried out using quadrats. If you’re wondering what they are, look no further – they’re squares. How would you make sure that your sampling is random? In a field, you could lay two long tapes perpendicularly to define the limits of the area where the samples will be taken from. As you can see above, a tape is laid on one side of the sampling area. As you can’t see above, another tape is laid from one end of the first tape, across on the adjacent side of the sampling area (like a giant L). Then two random numbers are generated using a random numbers table. These numbers are used to determine the coordinates of the first quadrat placed on the field, by matching them on the two tapes. And voila! You have yourself a system for random sampling using quadrats. Transects are tapes (like above) placed across an area which has some form of gradient caused by abiotic factors which directly determines the distribution and abundance of the organisms present. For example, a beach is not suited for random sampling because there are clear zones ranging from the low population zone near the sea, to the more densely inhabited areas further up the shore. In this case the best way of obtaining useful data is by systematic sampling. After placing the tape across the shore, place quadrats at set intervals such as every 5 metres, then take your data down. 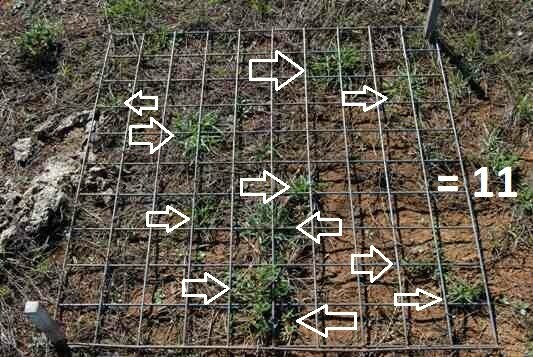 Depending on the size and type of organism, data can be collected in the form of numbers by counting the present organisms in each quadrat (frequency), or working out the percentage of area within a quadrat that a species occupies (percentage cover), then scale it up to the whole area investigated by multiplying. For percentage area, you’d count the smaller squares within the quadrat that your target species covers, and convert that number to a percentage (there are 100 smaller squares in the quadrat). So for example, our green plant would cover approximately 25 squares, giving us a 25% coverage. Both these methods are quantitative, giving us 11 plants per quadrat and 25% quadrat coverage, but there is another less quantitative, more descriptive method called ACFOR. Based on this, we might describe the above scenario for the green plants as perhaps, frequent. Are they common instead? Maybe just occasional? Hard to tell, and dependent on what the overall area looks like, and what other species there are. 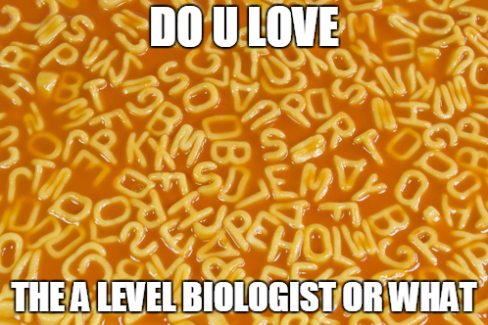 This is why it is important to select the appropriate ecological technique for the ecosystem and organism to be studied. For example, if our area contains many different species with scattered distributions, we are likely to get many different numbers for each, which might take a very long time, and might not be that necessary for our analysis. Perhaps we are only intending to compare whether two species are equally abundant or not. In that case, we wouldn’t be spending time counting small squares to get a percentage cover, but rather using the ACFOR scale. Another scenario is looking at very small species that we cannot count individuals for! Think grass. We would use a percentage cover or ACFOR in this case. In another case, we might have a scarce area with very few individuals for each whole quadrat, nevermind little square within. In this case we might prefer to simply count them rather than try ACFOR which wouldn’t work because it’s too generic and we might end up with all “R”s, or percentage cover which would also mostly be totally empty and give 0% for no individuals present, or 10% if one quite large individual is present that covers many squares. In this case, counting would give the most useful data as we would get a few whole numbers, e.g. 1 for the first quadrat, 0 for the next, 2, then 5, then 1.